Today I actually had time to devote to drawing! Prompt #3 was Animal Companion. 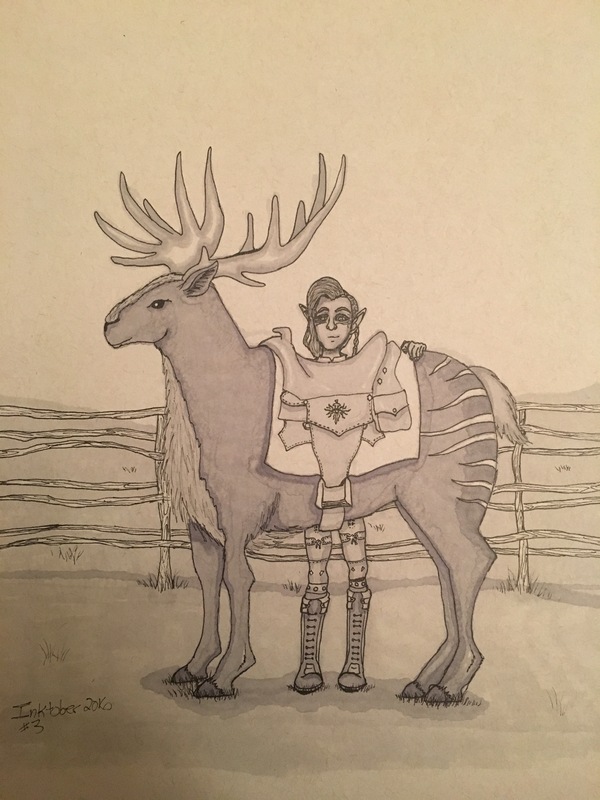 I drew my Lavellan Inquisitor saddling her hart. Grey paper, micron pen, and grey prisma markers.